We were pleased with the care & convenience of the Scotland Co. Hospital's Surgery Center when our son had his tonsils removed, just before school started. Scotland County Hospital in Memphis, Missouri, welcomes you to our website. We hope you will find the website content useful and informative. 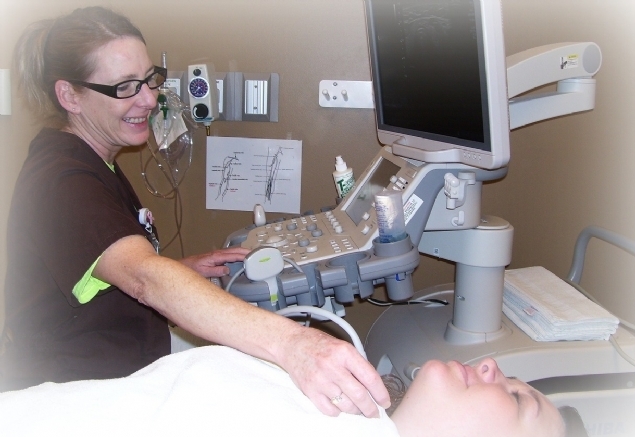 Our hospital is a 25-bed Critical Access Hospital located in rural northeast Missouri. We own and operate three rural health clinics in three counties - Memphis Medical Services (Scotland County), Lancaster Medical Services (Schuyler County) and Wyaconda Medical Services (Clark County). Scotland County Hospital has an affiliation agreement with Blessing Health System in Quincy, IL (Blessing Affiliation Press Release Final.pdf). Scotland County Hospital is a fast growing Hospital, embraced by the communities it serves. We have a highly respected medical staff and a wide range of specialists. We hope you will look to us, first and foremost, for your healthcare needs. Click HERE for Physicians and Clinicians flier. Interpretation available for limited English speaking patients. SCH is committed to providing you with high-quality patient care and services for our hospital district and service area. This includes sharing with you information about our billing process for health care services. You are encouraged to contact us about your account, check current balances, update insurance information, find out the current status of your insurance claim, requested an itemized copy of your charges or pay your bill. Please direct your call to our Patient Accounts Department at 660-465-8511. A good-faith estimate is provided to help self-pay, uninsured or out-of-network patients to understand their potential costs for services provided at the clinics & hospital. When paying in full with our SAME DAY DISCOUNT, and taking advantage of our 50% savings, this is a good-faith ESTIMATE of your charges for that Date of Service. You may be sent an itemized bill/statement after your Date of Service for charges that were not included in the total. The final itemized bill/statement you receive will reflect the full discount you would have received on the Date of Service, had the estimate been accurate. We ask that it be paid within 30 days of receiving the final itemized bill/statement. Click HERE for more information on our Smoke Free facilities. Click below for a pdf. In fiscal year 2017-2018 the Hospital volunteers logged nearly 4500 hours of volunteer time. If equated to full-time work, that's 2.1 full-time employees. On October 11, 2018, two senior officers from the PMC (Psychiatric Medical Care) corporate office in Nashville, TN, arrived onsite at Scotland County Hospital Senior Life Solutions to complete an unannounced internal audit. Douglas Craddock, LMHC (Licensed Mental Health Counselor) - Director of Therapeutic Services, and Erika Nail, LPC (Licensed Professional Counselor) - Regional Clinical Specialist performed the program evaluation. The purpose of the audit was to monitor overall compliance with the national standardized policies, procedures, and documentation of Senior Life Solutions (SLS), and compliance with Medicare guidelines for intensive outpatient psychiatric group therapy. At the conclusion of the visit, the SCH SLS team was given a compliance score of 98.6%. Director Doug Craddock stated, "That is 'Outstanding', a word above Excellent that I only reserve for the best. This is the second highest score I have ever given to a program." 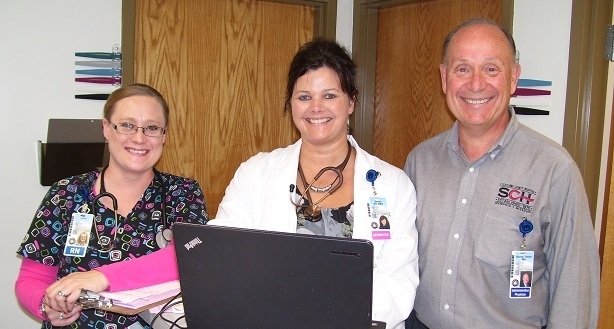 Scotland County Hospital has been around for nearly fifty years and the Radiology Department has been there since the beginning. The department has evolved from one room with an x-ray machine to a multitude of radiologic services. We now offer not only x-ray but cat scan (CT), ultrasound, mammography, mobile fluoroscopy, mobile MRI, mobile nuclear medicine and mobile bone density. During the first week of November, Scotland County Hospital Radiology Department/Imaging Center is joining the rest of the nation in celebrating the work done by the professionals in the field of radiologic technology. National Radiologic Technology Week is celebrated annually to recognize the vital work of radiology technologists (RT) across the nation. The week-long observation calls attention to the important role medical imaging and radiation therapy professionals play in patient care and health care safety. Twila Stevenson is an uncommon person living with a common problem – the bone-weakening disease osteoporosis. As people age, they lose bone strength from a variety of causes. Almost 44 million U.S. women and men aged 50 and older live with osteoporosis and low bone mass. That represents 55 percent of the people aged 50 and older in the country. At 80 years old, Twila did not know she had osteoporosis until January 22, 2018, when she fell in her home and broke her osteoporosis-weakened right hip. If you're an established patient at Memphis Medical Services, Wyaconda Medical Services or Lancaster Medical Services and enrolled in Medicare, you may be getting a phone call on behalf of Memphis Medical Services to schedule your Annual Wellness Visit at the clinic in Memphis with Libby, our Population Health Coordinator/Registered Nurse, or Faye, LPN. The purpose of the Medicare Annual Wellness Visit (AWV) is to allow your Primary Care Provider (PCP) to develop a personalized plan for your care, to prevent disease and illness or prevent or delay progression of existing chronic conditions.